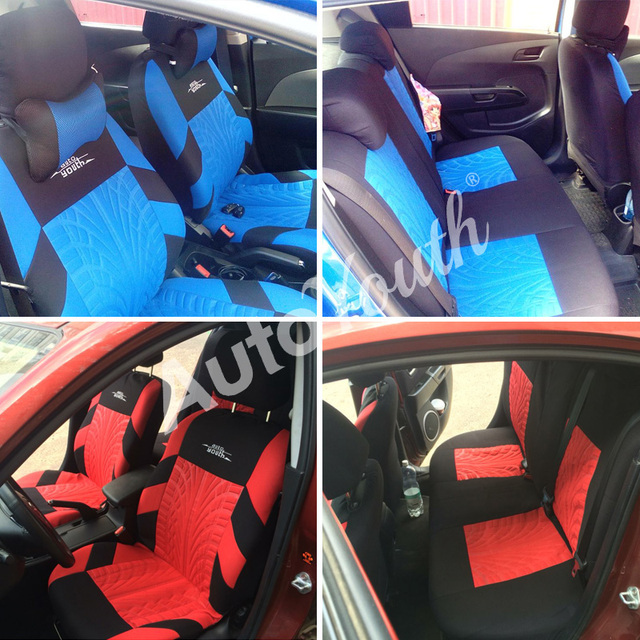 Add a stylish touch to your car interior with these semi custom fit seat covers from AUTOYOUTH Brand. fits most Detachable Headrest Bucket seats . 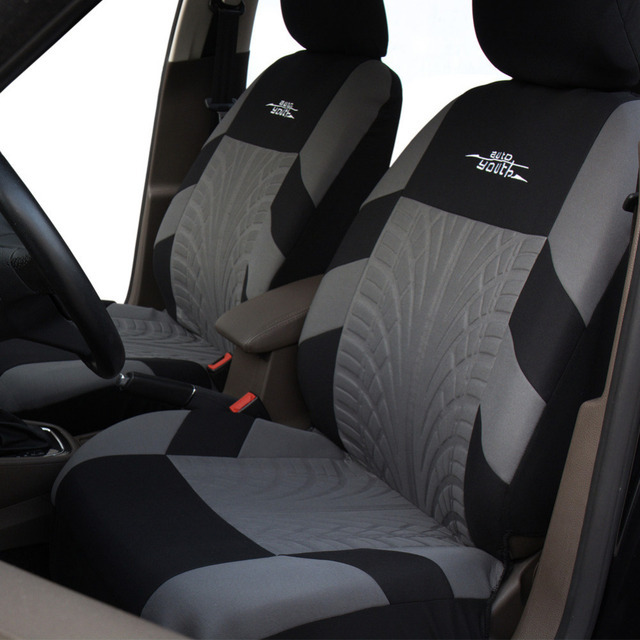 Seat covers can extend the life of your vehicle and keep your seats looking brand new and clean. 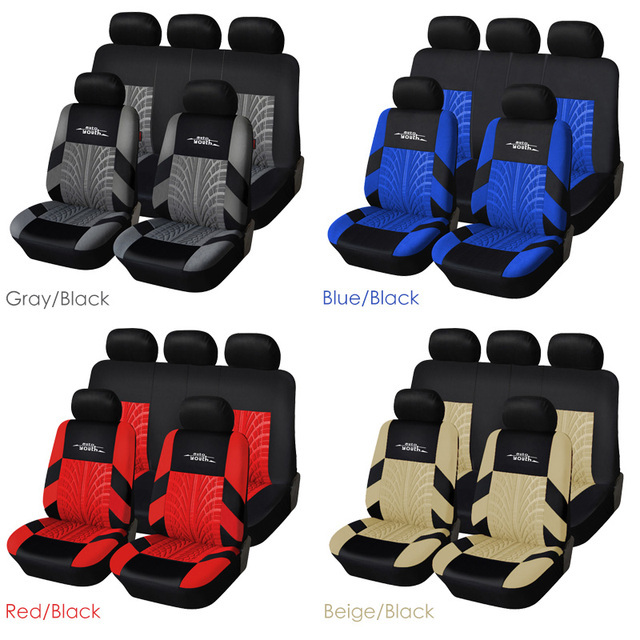 These seat covers fit most of the standard vehicles including sedan, SUV, truck, van and minivan. 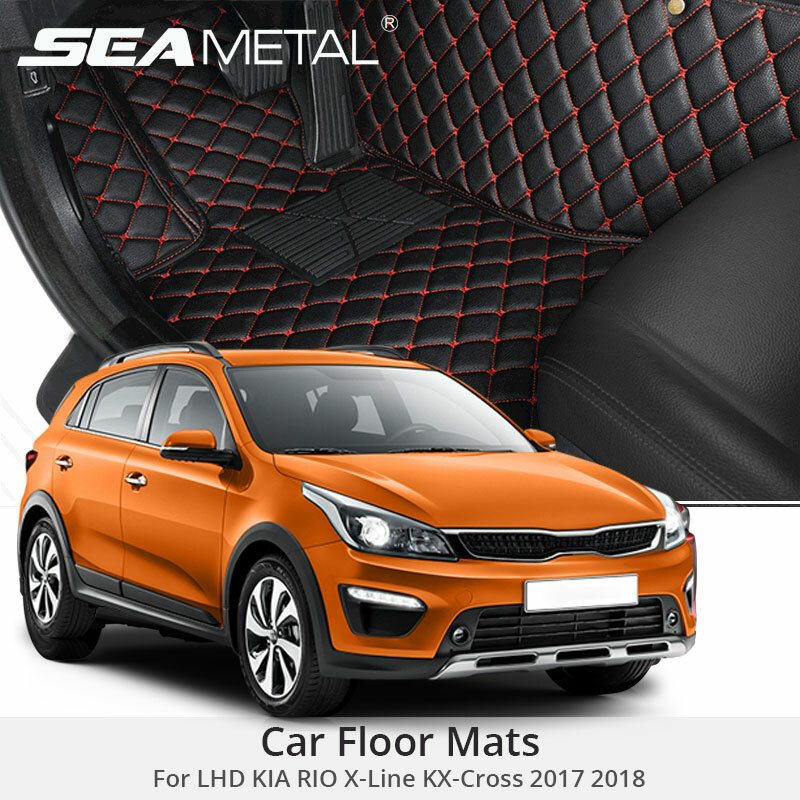 Made of high-quality and durable materials, Features innovative fabric and design,Updates the appearance of old or dirty seats,Protects against splits, stains, fading, dirt, and pet hairs,these covers protect your car seats from dirt, wear and tear. Easy to install , No professional installation required. You do not need to remove your original seat cover; it slips right over your seat. Upgrade Your Car with Fashion Colors and Luxurious Interior Accessories. 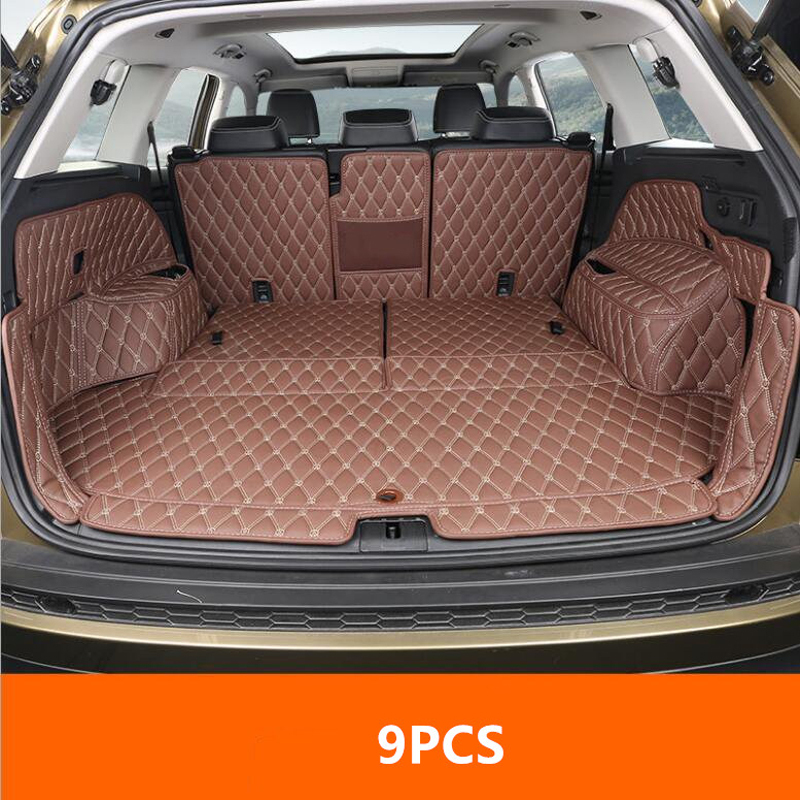 Rear bottom seat cover and backrest cover comes separately, which is designed to accommodate infant/child car seat, allow you to fully utilize the belt or built-in anchors behind the lower backrest. AUTOYOUTH Brand The Material: Premium Durable Polyester Fabric with 4mm Foam Padding.very soft, durable and breathable, Machine washable and air dry. Global customers’ real feedback & sharing photos. 1. “Dedicated car version” Advantage: it is Looks more compact feel, look more perfect, Sandwich material is more thick, more solid, Sandwich material denser. covers more weight. Production process more complicated, attention to detail, high production costs. it is only suitable for one style ,it is Consider the many details of the seat parts. 2. “Generic car version” Advantage: Its Production process is simpler than the “Dedicated car version”, we can follow the process of mass production, Lower cost than “Dedicated car version”. 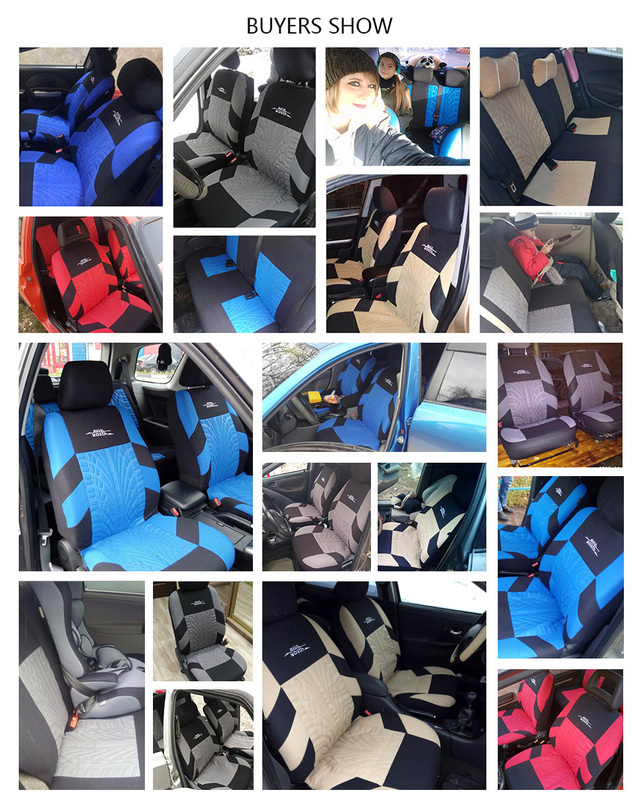 Installation easier .The same seat cover can fit many models of the same brand of car. “Generic car version” Weakness: It not more fit than “Dedicated car version”. 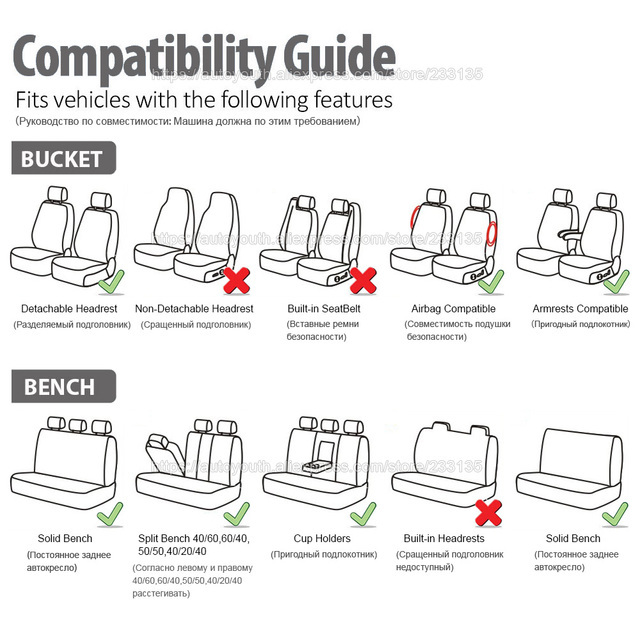 It does not consider some of the details of the seat, For example, did not consider the position of the rear seat belt buckle, without considering some of the position of the special button, the rear seat belt buckle and seat special buttons are completely covered by seat covers, if the rear seat belt buckle is in the rear seat base or rear seat backrest. Credit Card, VISA, Bank to Bank Wire Transfers, Western Union and so on. Items will be shipped within 2 business days after payment. Shipping will be worldwide via Russian Warehouse/United States Warehouse/Spain Warehouse/epacket/China post air mail/Aliexpress official shipping method. Remote area may cause extra shipping fee. All products of AutoYouth store have 12 months warranty. We will leave the positive feedback to every customer, we also hope can get positive feedbacks from every customer. As your satisfied means everything to us. If you’re satisfied with our service or products, please give us 5 stars feedback. If you meet any problems please contact us first WITHOUT ANY BAD FEEDBACK or DISPUTE, they can not solve the problem but contact us first must get a good solution.We promise all the problems will be solved within 7 days, pls don’t worry. Good Feedback Reward! :Get $2 coupon and a gift if provide 5 Star Feedback + 4 Pictures. If you need to order multiple items, pleases let us know first. We can offer you some discount. Import duties, taxes and charges are not included in shipping cost. Buyers bear all responsibility for all extra charges incurred (if any). 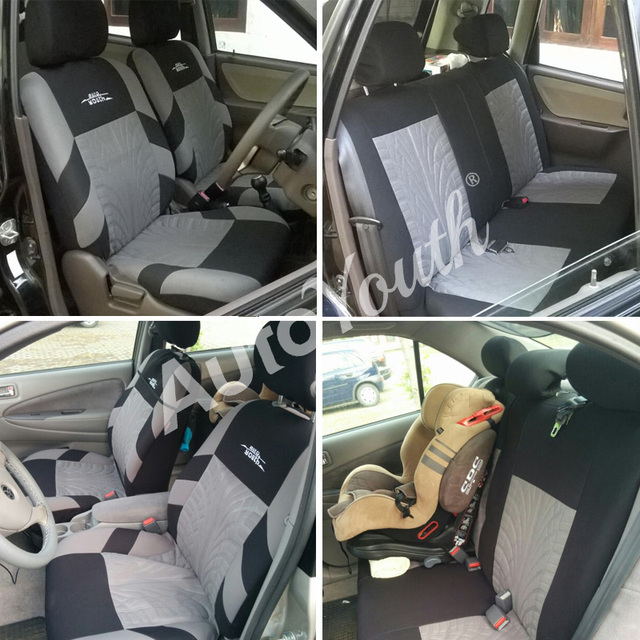 AUTOYOUTH Brand Embroidery Car Seat Covers Set Universal Fit Most Cars Covers with Tire Track Detail Styling Car Seat Protector. As for me, a long-continued and proper first-time product research is an important action before purchasing anything online. unplanned buying is as much awesomeness as risk, so I deduced it was worth spending some time to take a look at the case carefully. 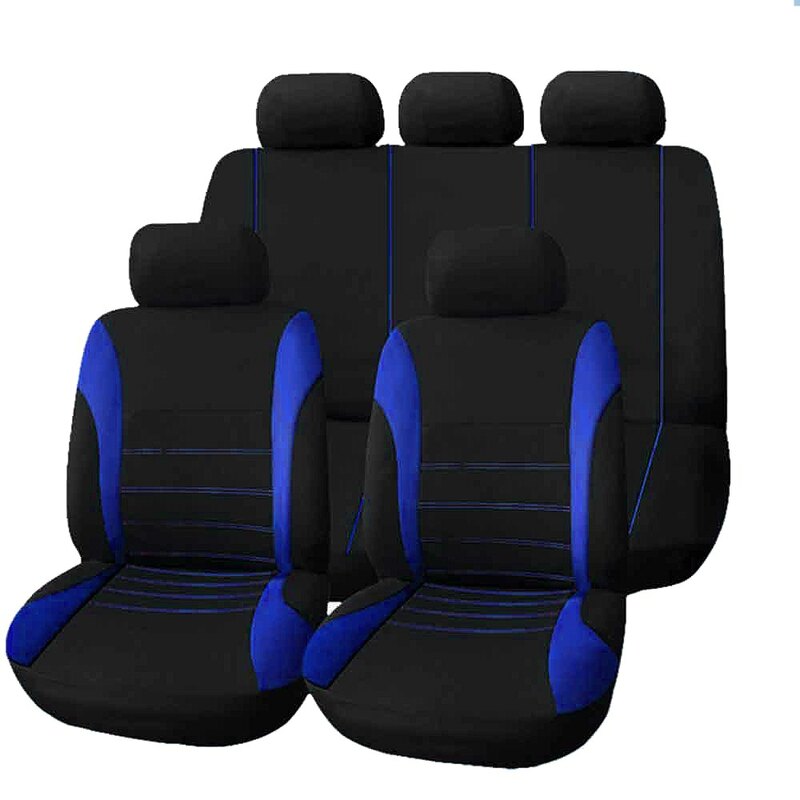 It seems to me I was unexpectedly fortunate to get the AUTOYOUTH Brand Embroidery Car Seat Covers Set Universal Fit Most Cars Covers with Tire Track Detail Styling Car Seat Protector so freely offered in this store. My research has let me know that this item distinguishes itself from the most of the other goods due to its superior quality. I’ve studied some basic criteria that are generally applied to the items of this kind, and discovered that the one I’ve bought stands out from the business competition and seems to be more than afitting option for this price tier. I could wish for a lower price, and who wouldn’t, (the one that is much closer to zero, how about that? ), but, I have to admit the declared price is absolutely fair. You shouldn’t expect a first-class quality item to be outrageously uncostly as it will mean either a poor quality of raw stock, or an inadequate production quality, or both. Or, even more hateful, it will mean making a profit on underpaid employees. How about no, not the exact kind of item I am going to back with my acquisition. 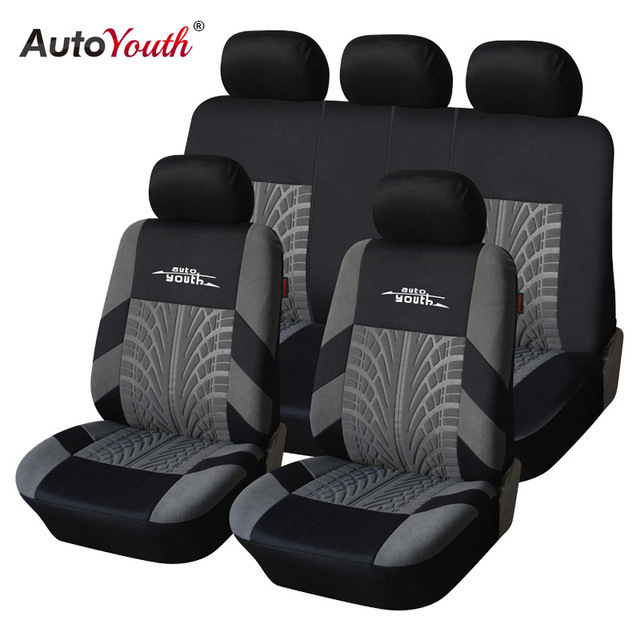 I would also like to say that when I got my order delivered and opened the parcel I was thrilled to see that AUTOYOUTH Brand Embroidery Car Seat Covers Set Universal Fit Most Cars Covers with Tire Track Detail Styling Car Seat Protector has arrived in ideal working condition, with no downsides or physical defects or stuff like that. It’s great to know the acquisition has confirmed its worth, so yeah, I absolutely recommend obtaining this one. My all-encompassing Internet research makes it obvious that the item shines out from the rivalry and my own purchase finds it has an amazing quality. Чехлы получил, качество хорошее, пока не надевал на сиденья, как устанавлю добавлю коментарии. Cases went on Nexia. Taken very fast, less than a week. Different cases! Matiz Went)) delivery days 4 + courier in the house. Thank You Very Much! Good quality. Thank You Very Much! Everything is fine, even came to anatomical seat. sarcastic prick. I was willing to spend a couple of hundred in his store. Super fast, direct to the door. Тонннькие course but look at the case. As determined by updating. Могу сказать что чехлы нормальные , но если будете подгонять с помощью швейной машинки делать прорези чревато затяжками , роспуском нити .Быстрая доставка .Купил на Хайму 3 подгонял заднюю спинку , а так все окей. Спасибо большое продавцу, доставил курьер в течение 4 дней. НА Hyundai ACCENT ЧЕХЛЫ ПОДОШЛИ ИДЕАЛЬНО. КАЧЕСТВО СРЕДНЕЕ, СВОИХ ДЕНЕГ СТОИТ, ТКАНЬ ТОНКАЯ НА ЗАДНЕЙ ЧАСТИ СПИНКЕ, А ТАК ВСЁ ОТЛИЧНО. МНЕ ПОНРАВИЛИСЬ. СМОТРЯТСЯ В САЛОНЕ ПРЕВОСХОДНО, СИДЕТЬ УДОБНО, КОМФОРТНО И МЯГКО. Хочу сказать прежде всего, что так быстро товар с Али, я еще не получала, заказ был сделан 30 июля, доставил курьер 3 августа (Томская область)!!!!!!! Чехлы классные, на автомобиль Нива они сели идеально, брали полный комплект. Ткань конечно тонковатая, но это не критично, смотрятся чехлы отлично. Никаких побочных явлений в виде запаха, торчащих ниток и кривых швот не было. Продавцу огромное спасибо. Рекомендую!!!!!!!!! Чехлы привёз курьер. Они просто бомба! Яркие, красивые, как на фото) На тайоту витц сели , как влитые, сзади передних есть кармашки, очень удобно. Единственный минус, это замки для ремней сшиты неправильно, снизу, а должны быть сверху (( пришлось мудрить, делать отверстия в замке и шить нитками ограничитель . Доставили быстро. На ваз 2114 подошли. Гавно конкретное брать не надо. А за доставку жирная пятёрка, прям до дверей доставили. супер быстрая доставка курьером до квартиры.брала на лада гранта, всё подошло.очень яркие чехлы,я ещё и на руль силиконовый заказала такого же цвета.качество соответствует цене.с продавцом общаться не было нужды.все быстро ,продавец умничка.спасибо. Ну очень быстрая доставка. Чехлы хорошие, тонкие только, проверим в эксплуатации. На Шевроле лачети сидят хорошо. Рекомендую продавца. Пришли в Хаб. кр. супер быстро. Оплатила и через 4 дня посылка у меня. Чехлы понравились. Все оделось хорошо, есть инструкция, крючки. Единственно хотелось бы чехольчики на подголовники побольше... уж очень с натягом одели... А так все супер. СПАСИБО.